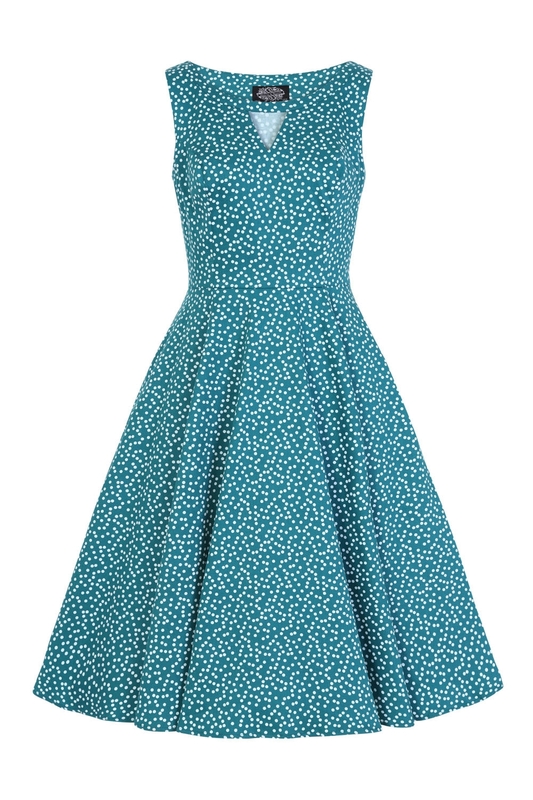 I Think It’s Time For Polka Dots This Summer, The Perfect Vintage-inspired Rockabilly Dress. Hearts & Roses New Edit Is Fabricated From A Soft & Stretchy Green Cotton Fabric With A Print Of White Pin Dots All Over, Giving This Style A Bold And Vibrant Piece Not Just To Look At, But Also To Wear. 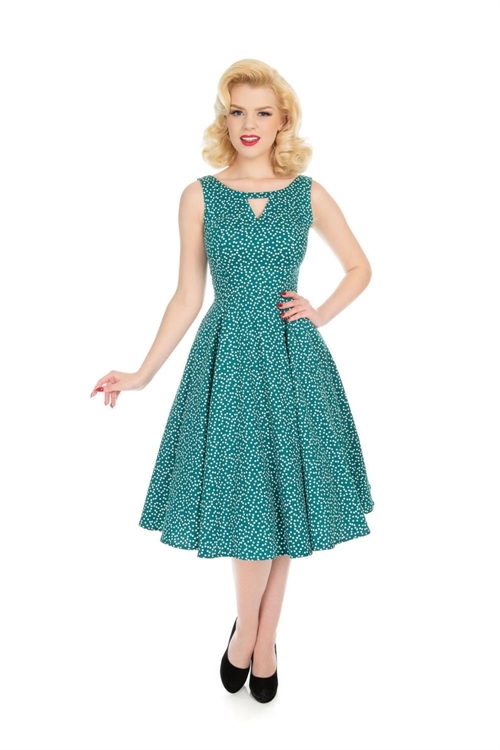 Did We Forget To Mention The Small Cut Out Detailing Just By The Round Neckline? Oh, Wow Simple Yet Divine Wear For The Summer Season. 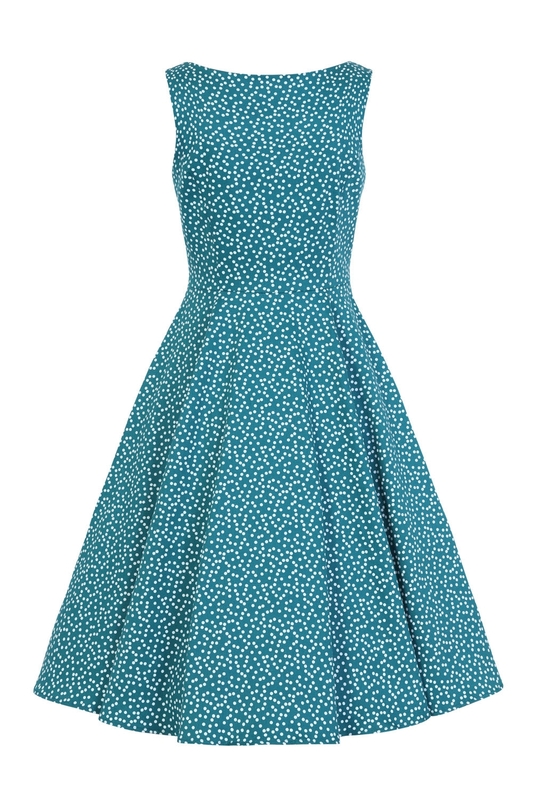 Just Look At The Bodice, How It Accentuates The Waist To Give This Design A Classy And Feminine Look, Just As In The ’50s. 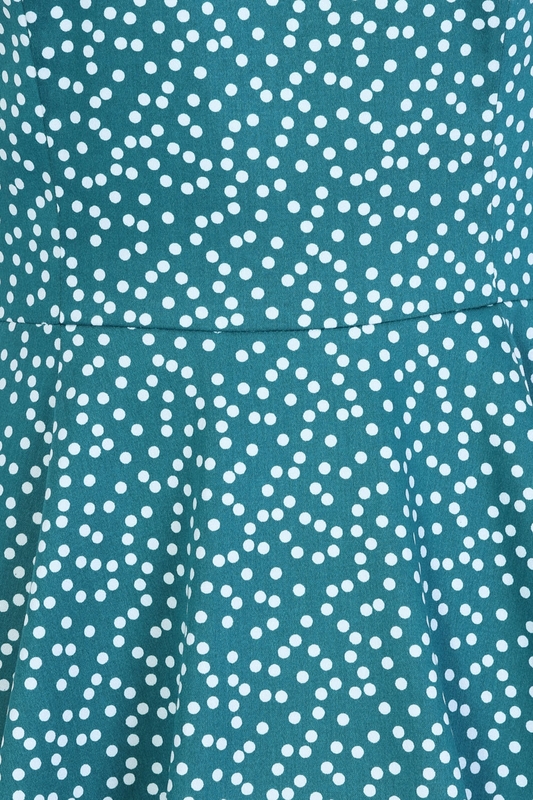 Come On, Time To Show Your Polka Face As You Won’t Regret Adding This Beauty To Your Wardrobe. Another Must For Your Vintage Collection From Bettie Vintage! !